Hello there, Fabulouses! Happy Tuesday! Ripley and I went camping over the weekend, and I have to tell you, when it was time to come home and get ready for work again, my shirt spoke my thoughts clearly. Was I ready to head back? Yeah, no. I can’t be the only one who feels like that after a long weekend, so if you’ve ever had the same sentiment, you might want to pick up this free group gift for yourself and let your shirt do the talking. I was able to scoop up this soft cotton tank for free just for being a member of Fabulously Free in SL. It features a dark gray strip on each of the side panels, the perfect sarcastic response to a silly question, and a cut that is sure to flatter your figure. Since the bold text really stands out against the snowy white background, everyone will read your message loud and clear. The folder contains versions for a variety of mesh body types. To pick up a copy for yourself, simply teleport to the Eyelure store, activate your Fab Free group tag, and click the vendor. I also picked up my Glaice leggings as a free group gift…this time from Revelation. These shorts are packed with plenty of detail such as rolled up cuffs joined with lacing, a shiny belt, frayed areas on the pockets and a curve-hugging fit. I can see myself wearing these throughout the spring and summer months. The gift includes a texture change HUD that allows you to select from six options for colors for the jeans ranging from blues and grays to brown. To add these versatile leggings to your inventory, you need to be a member of the Revelation Store group, but there is no join fee, so they are completely free! Categories: Free, group gifts, mesh, Mesh Avatars, pants, shirt, Uncategorized | Tags: Entangled Poses, Eyelure, fab days, fab free, Fab Free in SL, Fab Free Sl, fabfree, fabfree in secondlife, fabfree in sl, fabfree second life, fabfree sl, fabfreesl, fabulously free in SL, Ikon, Jian, Kathryn Vayandar, lelutka, maitreya, Revelation, Roleplay Heaven, Second Life Freebies, Second Life Group Gift, secondlife free, sl freebie blogs, SL Freebies, Wasabi, YS*YS | Permalink. Hey there, FabFree. And happy Tuesday to you all! I have to get out and celebrate the sunshine today because it’s about to pour buckets real in my real world tomorrow. But rain or shine, I’m ready for it all with a new Freebie! This is the lovely latest Fabulously Free Group Gift from Petry Model : The WDG Dress. You can pick up this poesy purple dress for absolutely free when you join the FabFree group. If purple isn’t your color, check out our list of Fabulous designers. I bet you’ll find something to strike your fancy. Categories: dress, FabFree Headquarters, Free, group gifts, groups, mesh, skirt, Uncategorized | Tags: 0L, dress, fab free, Fab Free in SL, fabfree, fabfree in sl, fabulously free in SL, fashion, free, free fashion sl, free in sl, free sl, freebie, freebies, freebies sl, gift, gifts, group gift, Ikon, lelutka, Limerence, maitreya, Maitreya Lara, pout!, Second Life, Second Life Free, Second Life Freebies, sl, sl free, SL Freebies, SLink | Permalink. Hello There Fab Free’rs! It’s true what they say, we all need some balance. Like exercising means there’s room for doughnuts, right?! For the sake of balance, I’ve got two group gifts to share with you. This super cute outfit by Pretty Little Thing is a free group gift, and the camera necklace is a group gift at e.marie. Keep reading for the “where and how” to get each of these fantastic finds. The Outfit – Whether getting pumped up at the gym or lounging around the house, Pretty Little Thing has the perfect outfit. This cropped tank top and the matching cuffed pants are a free gift for all Pretty Little Thing group members. The PLT group is free to join as well. This cute little outfit comes in a Maitreya Lara fit only. The Necklace – As a photographer I couldn’t love the March group gift at e.marie more. I’m not sure how I missed this cute little camera necklace, luckily it’s still available. The necklace comes in gold, rose gold, and sterling silver, it also has resize scripts. 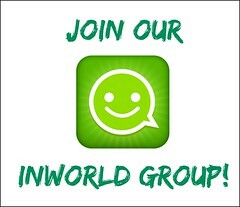 To get yours, you’ll need to head over to e.marie and join the in world group. There is a one time join fee of just 50 lindens, and there are multiple group gifts available. 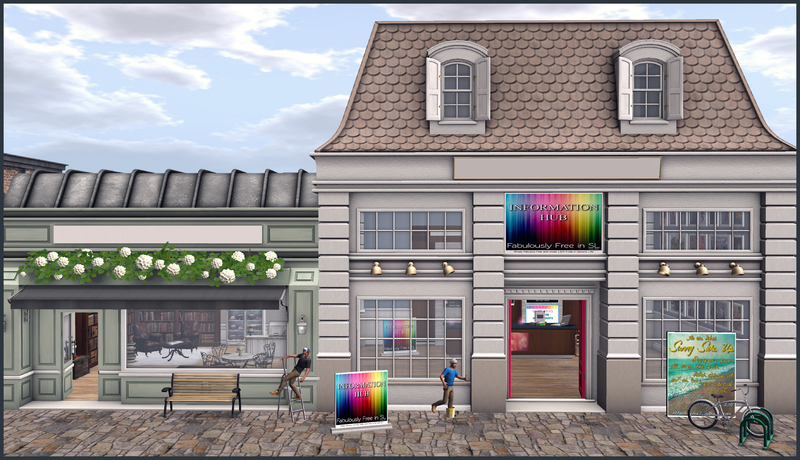 Categories: Free, group gifts, jewelry, mesh, pants, shirt, Uncategorized | Tags: 0L, Athletic Wear, backdrop city, camera necklace, Catwa Koura, cheapie, e.marie, e.marie group gift, Essences, Essences Litzi, fab free, Fab Free in SL, fabfree, fabfree in sl, fabulously free in SL, Fashion Blog, Fashion in SL, female fashion, Foxcity, free, free fashion, free group gift, free group join, free in sl, Free Outfit, freebie, Freebie Blog, group gifts, Ivory & Rose, Loungwear, Magika, Maitreya Lara, PLT, Pretty Little Thing, Pretty Little Thing Group Gift, Prudence Rexroth, Reign, Second Life, second life blog, sl, sl free, sl gifts, The Ivory Rose | Permalink. Happy Hoppy Easter, FabFree! I hope the Bunny delivered a ton of chocolate and jelly beans and Peeps and…. *ahem* Anyway… I found a couple of sweet treats on the Grid today and it won’t hurt my teeth. This is the ‘Akiva’ dress from Revelation and it’s just one little Linden for the Group. And the Group is free to join. So for one Linden you get this super cute little crochet number with a HUD for eight spring pastels including white. I like the teal because it matches my other treat: this great little Easter basket. My cute little Easter Basket is part of a free pose from Ardent Poses. This is ‘Good Egg #4’ and it’s one of six poses hidden around the shop as part of the Good Eggs Hunt. Now the poses are all free but here’s the catch… you only have today to collect them. The Good Egg Hunt ends today so hurry and hop over to get your treats! Categories: dollarbie (1L-3L), dress, Free, group gifts, groups, hunts, mesh, poses, skirt, Uncategorized | Tags: 0L, Ardent Poses, belleza, dollarbie, dress, fab free, Fab Free in SL, fabfree, fabfree in sl, fabulously free in SL, fashion, free, free in sl, free sl, freebie, freebies, freebies sl, gift, hunt, Ikon, Juli, Julianna Seriman, lelutka, Limerence, maitreya, Maitreya Lara, pout!, Revelation, Second Life, Second Life Free, Second Life Freebies, sl, sl free, SL Freebies, SLink | Permalink. Happy Bunnies and Eggs Day Fab Free! I hope you’ve been able to enjoy the weekend. I’ve got a few fabulous group gifts to share, so in the spirit of the day, let’s hop to it! As a special gift, Carol G sent out this adorable bunny tattoo to her store group members. 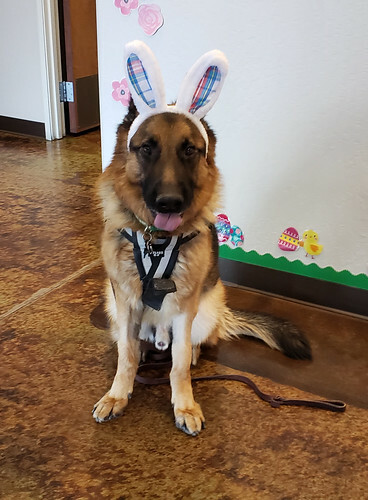 While it’s perfect for Easter, it would be just as cute any other day of the year. This fun little tattoo is an Omega applier, and can be found in the Carol G group notices. 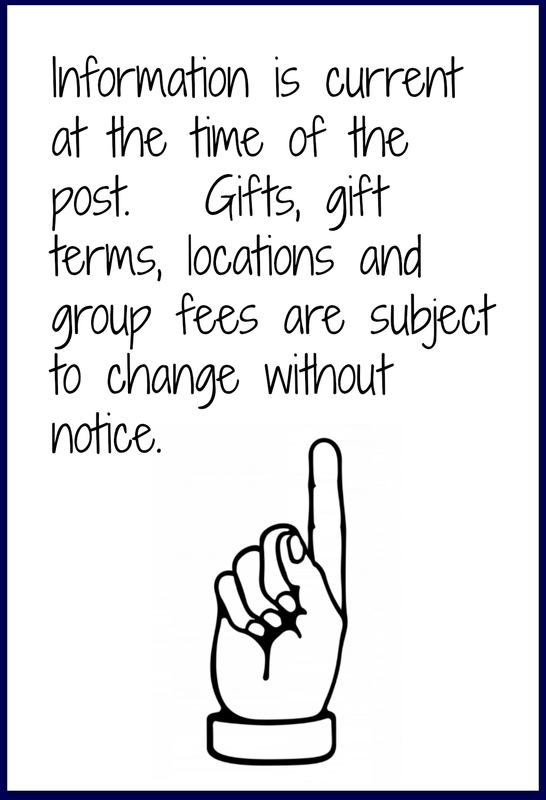 The Carol G group has a one time join fee of 150L and there are several group gifts available at the store. Speaking of group gifts, Pru’s outfit is one of the many free Fabulously Free in SL group gifts currently available. This free gift is by Mooh!. You can get yours at the Mooh! main location just by wearing your Fab Free group tag and clicking the gift vendor. This two piece outfit comes in several sizes and has a color change hud that lets you pick from preset colors. The hud also allows you to color the skirt and top separately. The Fab Free group is also free to join, so don’t miss this cute freebie. Oh, and before I forget, there’s an alpha layer as well so the outfit will work with classic avatars! Categories: appliers, classic avatar, FabFree Group Gifts, Free, group gifts, mesh, shirt, skirt, tattoo | Tags: Alpha Layer, Belleza Freya, Belleza Isis, Belleza Venus, Bunny Tattoo, Carol G group gift, Catwa Koura, classic avatar, Easter Tattoo, Erebos Harbor, Essences, Essences Vanya, fab free, Fab Free in SL, fabfree, FabFree group gift, fabfree in sl, fabulously free in SL, Fashion in SL, female fashion, free, free group gift, free in sl, Free Outfit, freebie, Group Gift Tattoo, Ivory & Rose, Maitreya Lara, MOoh, MOoH! Fab Free Group Gift, Non Mesh Avatars, Prudence Rexroth, Second Life, sl, sl free, sl freebie, SL on a Budget, Slink Hourglass, Slink Physique, standard mesh sizes, The Ivory Rose, The Mesh Project, TMP, TRUTH, Truth Hair | Permalink. Finally, we made it to the weekend, FabFree. I don’t know about y’all but this has been one heck of a week. And what better way to forget all that stress than to go shopping for freebies? This is Entice’s current gift for our own Fabulously Free Group ‘A Thousand Miles’. Yes, I said free, because of course FabFree’s Group is free to join. I mean,… it’s right there in our name. 😉 Just join the FabFree group by clicking the invite board above the display at Entice ( Or any of our Fabulous Designers) this lovely dress is yours. Categories: dress, FabFree Group Gifts, fitted mesh, Free, group gifts, groups, mesh, skirt, Uncategorized | Tags: 0L, belleza, Classic Fitmesh, dress, eBody, Entice, fab free, Fab Free in SL, fabfree, fabfree in sl, fabulously free in SL, fashion, free, free fashion sl, free in sl, free sl, freebie, freebies, freebies sl, gift, gifts, group gift, Ikon, Juli, Julianna Seriman, Le Poppycock, lelutka, Limerence, maitreya, Maitreya Lara, pout, Second Life, Second Life Free, Second Life Freebies, sl, sl free, SL Freebies, SLink, TMP, Tonic | Permalink. Hi There Fab Free! 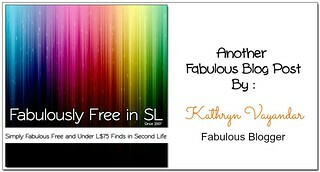 I cannot tell you how excited I am about all the Fabulous new Fab Free group gifts that have been coming out! So today I decided I’d give you a closer look at one of them. This gorgeous green lingerie set is the free Fab Free group gift at Ashmoot. Not only is this lace lingerie set beautiful, it is wearable for classic avatars and mesh avatars. This free gift comes in classic system layers, as well as a Maitreya applier, and an Omega applier. Not a member of the Fab Free group yet? Why not?! The Fabulously Free in SL group is always free to join. To get your copy of this fantastic free gift, head over to Ashmoot. Don’t forget your Fab Free group tag. Also, to take a look at our complete list of Fab Free group gifts check out the Group Gift Listing at any time. Categories: appliers, classic avatar, FabFree Group Gifts, Free, lingerie | Tags: 0L, Ashmoot, Ashmoot fab free group gift, Catwa Koura, Classic System Layers, Essences, euphoric eyes, fab free, Fab Free GG, Fab Free Group Gift, Fab Free in SL, fabfree, fabfree in sl, Fabulosly Free in SL, fabulously free in SL, free, freebie, Indigo Poses, Maitreya Lara, Maitreya Lara Applier, Omega Applier, Prudence Rexroth, Second Life, sl, The Ivory Rose, Truth Hair, TRUTH VIP | Permalink. 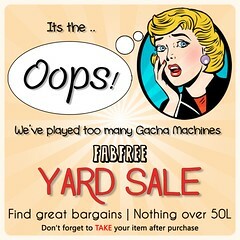 Hello Fab Free, step right up! The Ringmaster and his lovely apprentice welcome you to the circus, or more accurately, the blog! You guessed it, I’ve teamed up with that man of mine again to bring you some fabulous finds. This time we did a bit of the Jester’s Revenge Hunt and picked up the male and female hunt prizes at Mishmash. The Jester’s Revenge Hunt is a free hunt, and it lasts until April 30th. Though definitely not your typical everyday wear, I thought these free matching outfits by Mishmash were a lot of fun. They would be great for roleplay, or themed parties. Each of the outfits is a separate prize. You’ll be hunting a little gold nugget. Both outfits come in several sizes. The men’s suit also includes an alpha layer. P.S. Make sure you check out Blue’s credits for some freebie finds for the guys! 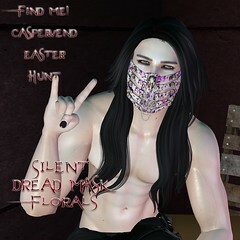 Categories: classic avatar, dress, formalwear, Free, group gifts, hunts, mens, mesh, other, outerwear, pants, skins | Tags: "7 Deadly S[K]ins", *MishMash*, 7 Deadly Skins Men's April GG, 7DS, ADAM, Adam & Eve Adam Body, Adam Light V2.1, Aesthetic, Akeruka Leon, Alpha Layer Included, Belleza Freya, Belleza Isis, Belleza Jake, Belleza Venus, BlueGreyEyeGentleman Resident, carnival, Catwa Koura Bento, circus, Curless, empire, Essences Litzi, Exile, fab free, Fab Free in SL, fabfree, fabfree in sl, fabulously free in SL, Female Hunt Prize, free group join, free hunt, free hunt gift, Free Hunt Prize, Free Men's Suit, Free Moustache, Free Mustache, hunt gifts, Hunt in SL, Hunt Prizes, Jester's Revenge Hunt, JRH, Maitreya Lara, Male Classic Avatar, Male Hunt Prize, Mishmash Fusion, MishMash Jester's Revenge Hunt Prize, Mishmash JRH prize, Prudence Rexroth, Raw House, Raw House Group Gift, reina photography, Ringmaster, Roleplay, Royalty Backdrops, RP, Second Life, second life hunt, Shiny Stuffs, Signature Gianni, Silvan Moon Designs, sl, sl hunt, Slink Hourglass, Slink Physique, Standard Mesh, The Jester's Revenge Hunt, TMP, Truth Hair | Permalink. Oh Baby, why don’t we go? I’m an Easter Beach Bunny today since I found this great gacha from Loki Store. I’m not sure when the “Kawaii Summer” Gacha actually came out so this might not be news to you. But it was a sweet new find for me over at the Loki main store. “Kawaii Summer” is a 50L per play gacha with both the ruffled swim suit and the blow up swim tube with a pose. There are six pastel colors of swim suit and seven different poses with the inner tube including one rare pose. The Tube includes a HUD to change the color to match your suit. Categories: Animations, gacha, mesh, poses, swimwear, Uncategorized | Tags: 50L gacha, beach, fab free, Fab Free in SL, fabfree, fabfree in sl, fabulously free in SL, fashion, Female Swimwear, gacha, Ikon, Juli, Julianna Seriman, lelutka, Little Havana, Loki Store, maitreya, Maitreya Lara, pout, Second Life, Tableau Vibant | Permalink.